When most people experience a breakout, the only thing on their mind is getting rid of it as soon as possible, whatever it takes. While we all want to experience our clearest and healthiest skin possible, the best way to get those results is to find a treatment that’s right for your skin, and that starts with identifying just what type of acne symptoms you have. Acne is a disease that affects the skin, and is the most common skin condition effecting people of all ages. It is normally caused by a hormonal imbalance that triggers an excessive amount of sebum, or skin oil, to be produced by the sebaceous glands. Too much of this oil can become clogged with pores, where it travels from the sebaceous glands to the surface of the skin, and when combined with dry, dead skin cells, form bacteria. This bacteria, known as P. acnes, triggers an inflammatory response from the body, which lead to acne symptoms that appear on the surface as red, swollen bumps often referred to as pimples. For some, their symptoms come and go in short spurts, while others experience breakouts over a longer period of time. 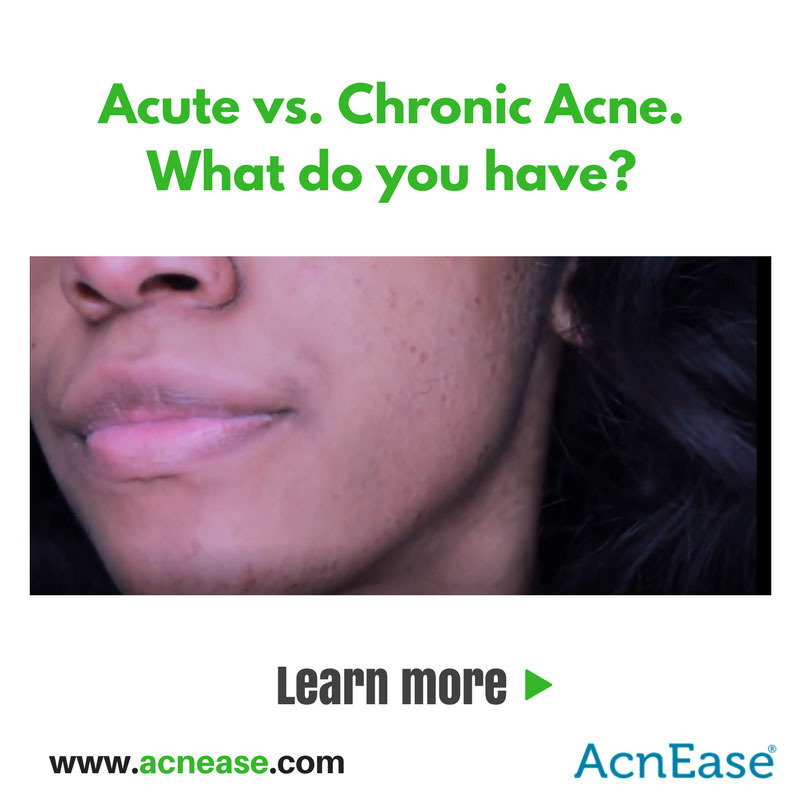 These two types can be classified as acute, and chronic acne, and understanding the difference between the two might make for better results on your acne-prone skin. First thing’s first: what’s the difference? To put it simply: when we refer to acute acne, we’re speaking of shorter-term breakouts, while chronic acne typically refers to acne symptoms that last for two years or more. Both types begin forming days before a breakout will appear on the surface of the skin, and can often become triggered by certain types of food, seasonal changes, and especially hormonal fluctuations, such as pregnancy or menstruation. Some people may even have certain genetic predispositions such as higher levels of testosterone that may trigger the formation of acne. Despite what’s going on under the surface, acute symptoms may appear suddenly and without much warning, while chronic symptoms can seem to stick around way past their welcome, whether mild or severe. Whatever the underlying cause, the best way to see results is to treat each type accordingly. Steams, toners, and drying masks tend to be good choices for anyone experiencing acute acne symptoms as they work to clear pores while shrinking pimples without over drying. Chronic acne can really benefit from longer-term lifestyle changes, such as implementing an acne-friendly diet, making hygienic practices a priority (this means resisting the urge to pick or pop, keeping pillowcases clean, and showering after exercise or working up a sweat,) and sticking to your skincare regimen no matter what. Whatever your acne type, and however seldom or frequent your symptoms may appear or last on your complexion, all acne must be treated at its source in order to experience real results. Finding a combination of solutions to address the inner and outer issues of the disease will be your best bet, with a topical facial wash to cleanse the surface on the outside, and a systemic treatment solution to target the problem from within. 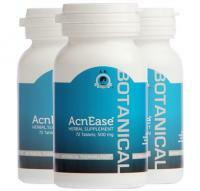 AcnEase, a safe and effective herbal treatment, is designed to treat all acne no matter how mild or severe the symptoms. In fact, 96% of AcnEase users say that AcnEase works for them. We hope you’re next! We want to hear from you! How would you classify your acne symptoms? Have any go-to solutions for treating the problem? Tell us in the comments!